It’s not too early to mark your calendars for 2018 Christian Community Camp! 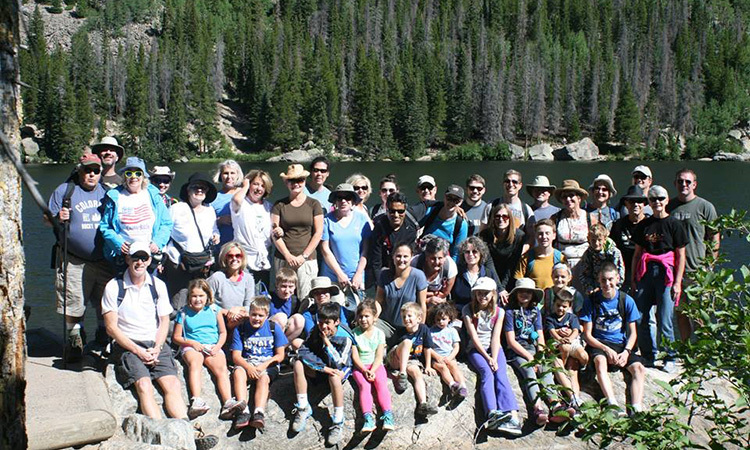 Join families and individuals from our congregation for a week of hiking, horseback riding, fishing, crafting, relaxing and fun at the YMCA of the Rockies in Estes Park, Colorado. The group of 60-90 folks from ages 1 to 91 stays in a lodge with lovely mountain views and enjoys the home cooked meals provided by volunteer chefs from our church. If you don’t like to camp but you love the mountains, this is the place for you. Early bird registration begins Sept. 10, 2017. Click here for more information about Christian Community Camp. Click here to open PDF of 2018 registration form. January 15 – Registration open. $250 non-refundable deposit will hold your place. Total cost is $1,700 ($1,600 if paid in full by Feb. 1) plus each participant pays a $85 food and activity fee. January 15—Registration open. $100 deposit to hold your spot. Total cost is $375 ($275 if paid in full by Feb. 1) plus the $85 food and activity fee. Contact Monica Lewis for more information.